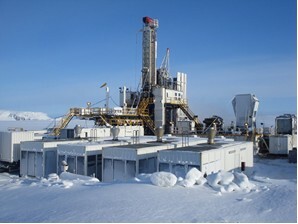 GDN (Geotermica del Norte), Chilean producer of electricity and part of ENEL Group, together with ENAP, Chilean Oil Company, have committed to FUMAGALLI two Contracts for the supply of SPECIAL Valves for GEOTHERMAL STEAM (manual and motorized and from 2” to 36”), for the construction of CERRO PABELLON Power Station at Pampa Apacheta plateau (Chile) at 4500 meters of altitude. 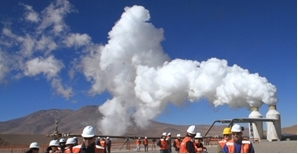 CERRO PABELLO Power Station has a long and troubled story that starts at the beginning of 2000, when ENELGREENPOWER moved the range of action beyond national borders, leveraging its 100 years of experience in GEOTHERMAL sector. The chosen area is the central America, in particular El Salvador and Chile, where the characteristics of the territory and the huge geothermal potential allow ENELGREENPOWER to replicate the Italian experience. 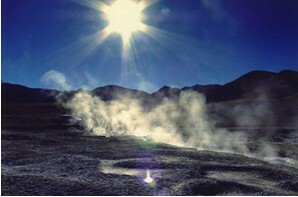 It has been established that Chile has a geothermal energy potential from 1500 to 3600 MW/year for the next 20 years. The green line for this project has been given by EIA (Environment Impact Assessment) in 2012. 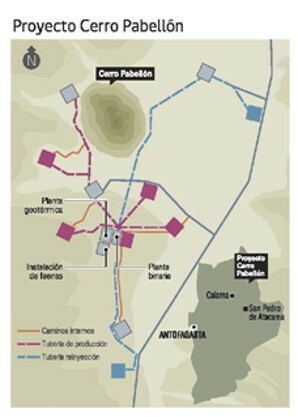 CERRO PABELLON Power Station will have a capacity of about 50 MW and it will be connected to the Chilean Northern Interconnected System (SING) since the Chilean government is deeply involved in replacing with GREEN power its actual energy production (66% from Coal and the 27% from Gas). FUMAGALLI have obtained these two contracts after have gained full confidence of ENELGREENPOWER for the good performance in the supply of thousand valves for the Geothermic Power Stations located in the historical area of LARDERELLO (Tuscany), confirming its production capacity in term of quality, prices and delivery time. We are sure that the good result of this project will give us, in the next years, the opportunity to cooperate with ENEL Group and/or with other possible players for the construction of others of these “PARTICULAR TYPOLOGY” of Power Plants.